Chris is Co-Founder and Chief Operating Officer, responsible for overseeing business and financial operations. As a senior environmental engineer, Chris has lead and managed a range of large-scale projects, with experience working at Franz Environmental Inc. and Hemmera. Chris is a seasoned business leader and experienced engineer, and holds a BASc in Professional Engineering from the University of British Columbia. Linus works with the Arkit product team to build world-leading experiences for our customers. 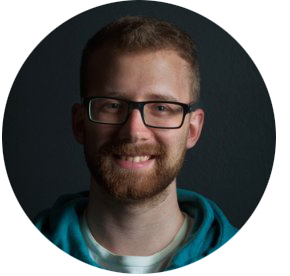 A software engineer with nine years of experience under his belt, Linus' background includes developing e-commerce solutions for leading software companies. Keyan works to continually improve Arkit's features and user interface to create the best possible customer experience. Keyan graduated with a Bachelor’s Degree in Design and Visual Communication. He brings seven years of software design experience to the team. Zann manages Arkit's digital presence and online message. She brings five years of marketing and communication experience to the company as well as a passion for clarity and authenticity. Zann graduated from Emily Carr University with a Bachelor Degree in Industrial and Communication Design.